Od pełni maleje z księżycem moja głowa, coraz mi lżej i prościej jestem lepsza połowa. 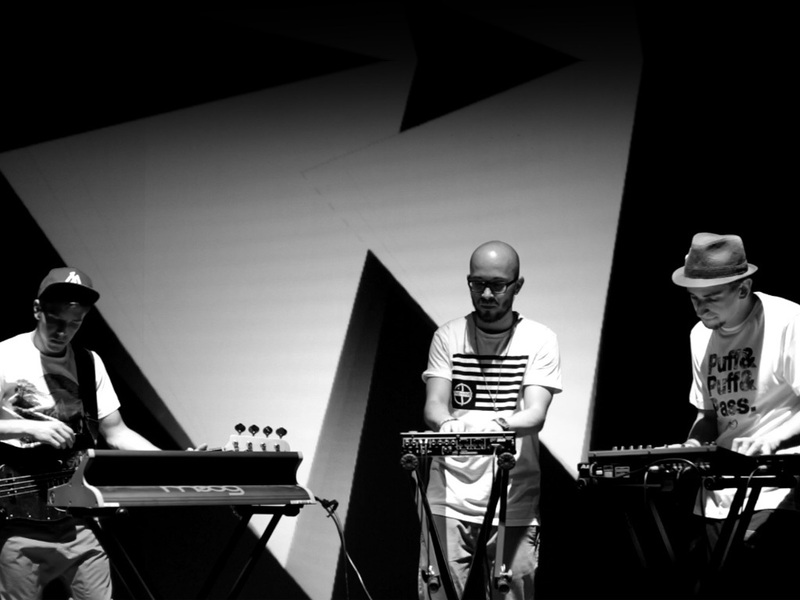 Night Marks Electric Trio is a Wroclaw, Poland- based trio blurring the boundaries between hip-hop, soul, jazz, and the freshest electronic music. Over the last three years, jazz music graduates Marek Pędziwiatr (keys, vocals) and Adam Kabaciński (bass, keys) have been joined by the production chops of Spisek Jednego (Piotr Skorupski) in creating their unique sound. Since their debut, Night Marks Electric Trio have drawn the attention of the likes of Lefto, Novika, and Bilal, as well as beloved Polish radio presenter Maceo, who shone the spotlight on Night Marks Electric Trio in his Kosmos show for Radio Roxy. While the group has recently completed work on their debut record, NMET have already produced remixes for Envee (“Love Theories”) and Robert Glasper (“Move Love”). The latter track went on to rank in fifth place in an international competition organised by the legendary Blue Note label. NMET have also appeared as guests on the phenomenal “Trust Bust” from producer En2ak, as well as often contributing to the popular Polish hip-hop and jazz scenes. This talented trio’s impressive live skills have been showcased in performances on Polish National TV (TVP1), Polish National Radio (Trójka), and at some of the largest festivals in Poland including Weekender, Opener, and Tauron Nowa Muzyka. American MC and past collaborator Raashan Ahmad also invited the group for a joint tour in 2013 at concerts across France and at a Kazakhstan festival. The musicians of Night Marks have also been invited to collaborate in a new project named Archeo with the legendary Polish sisters Paulina and Natalia Przybysz. Night Marks Electric Trio’s singles “Glorious Tune”, recorded with Raashan Ahmad, “Leki” performed alongside the Przybysz sisters, and “Walk Inside Your Dream” featuring Washington-based vocalist AB (a frequent Black Milk and Slum Village collaborator) have formally introduced NMET in the lead up to the release of their debut self-titled EP. Out August 2014 on U Know Me Records, this EP also features incredible hand-painted artwork from Radek Drutis, an artist known for his work for Stones Throw and Eglo Records. The Night Marks Electric Trio EP was released on 6 August 2014, followed by a vinyl release in September.